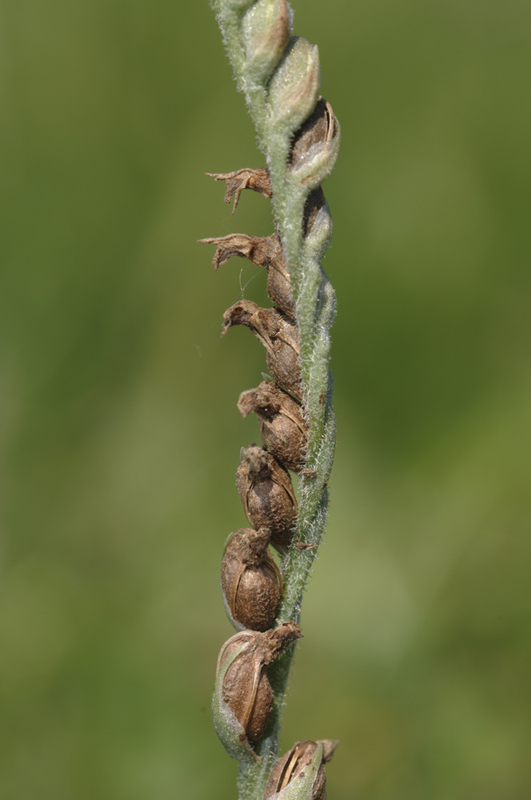 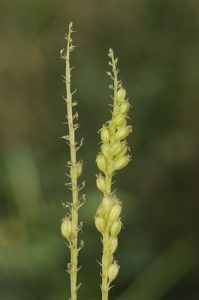 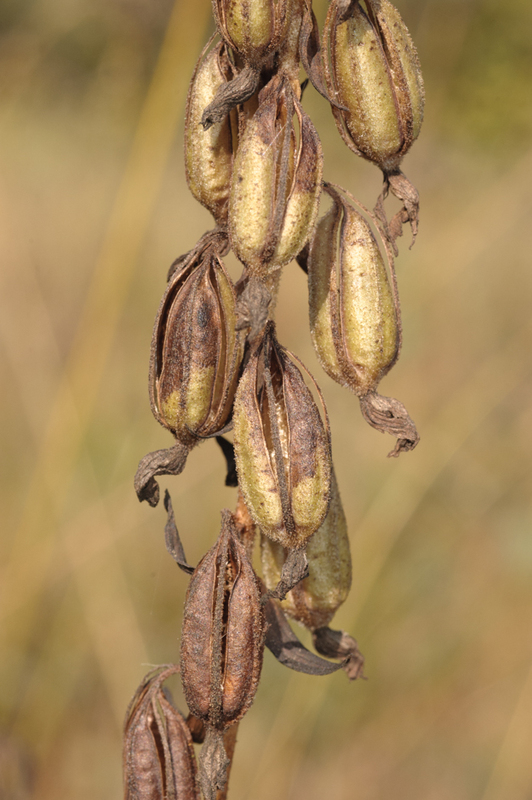 Fruit set: after pollination the capsules start ripening. 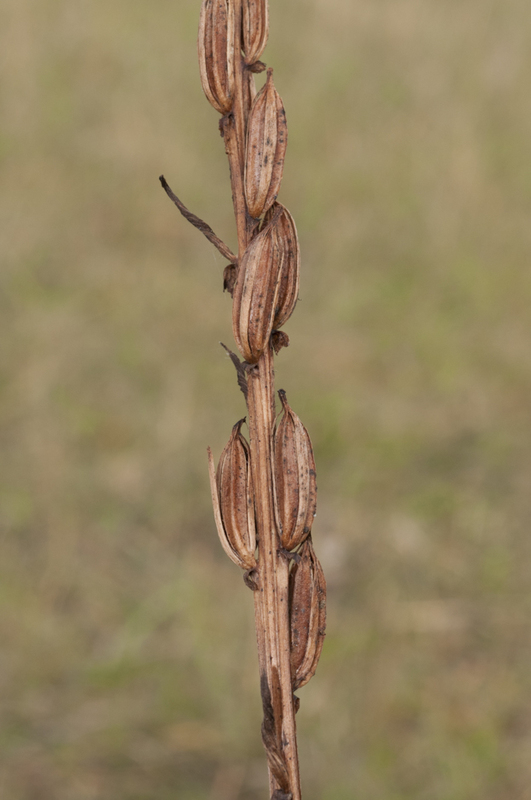 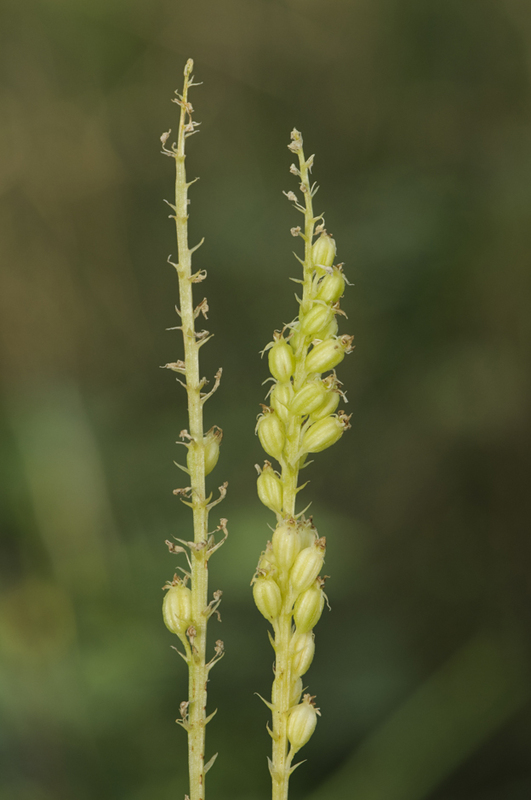 You can easily tell which flowers were pollinated because the capsules are bigger and generally stand more upright. 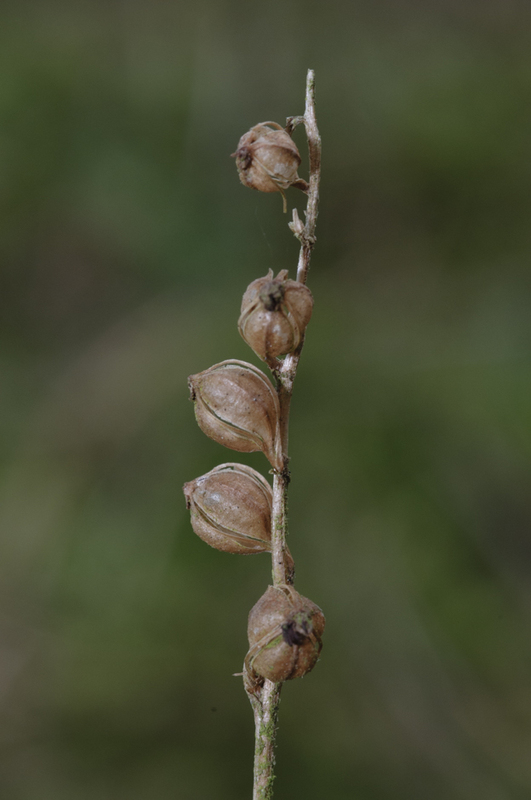 They open at three slits in the capsule. 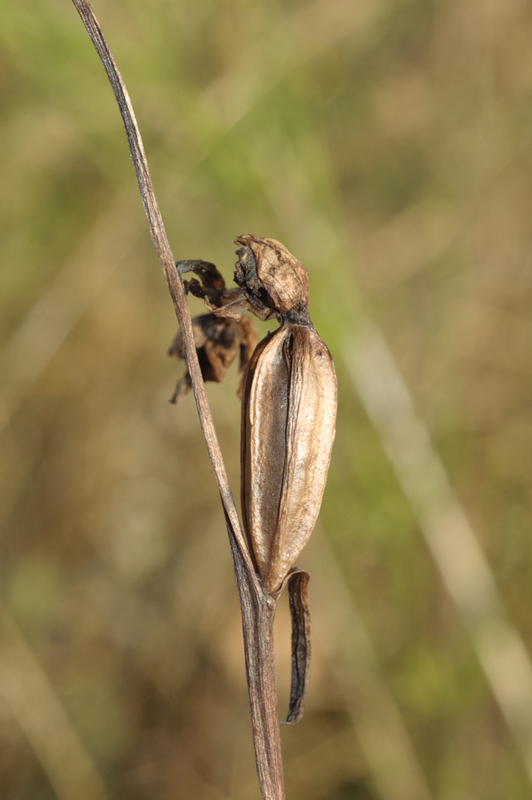 Aided by the wind the dustlike seeds can spread. Appendix 2 of our book “The flower of the European orchid – Form and function” lists the percentage of fruit set of many European orchids. 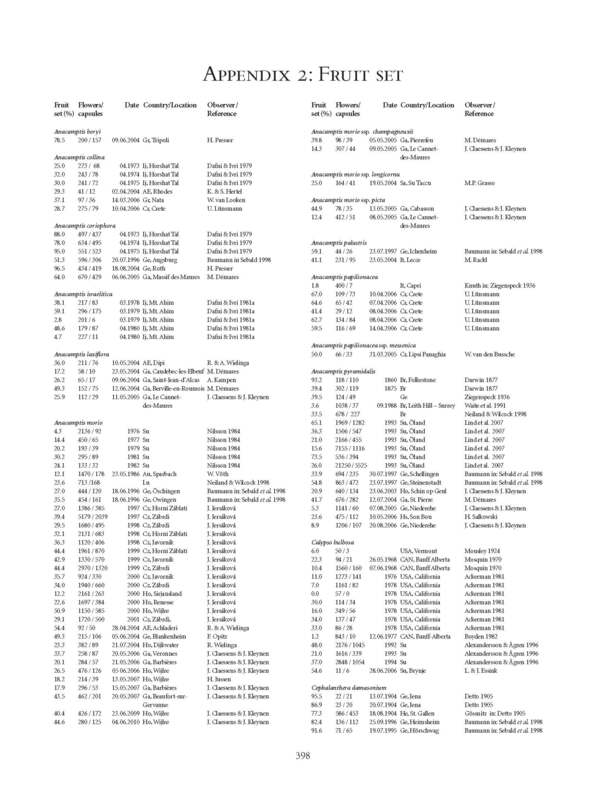 This gives an exhaustive overview on 10 pages. 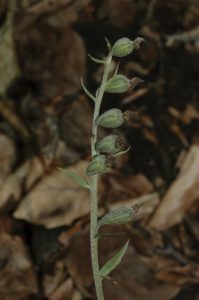 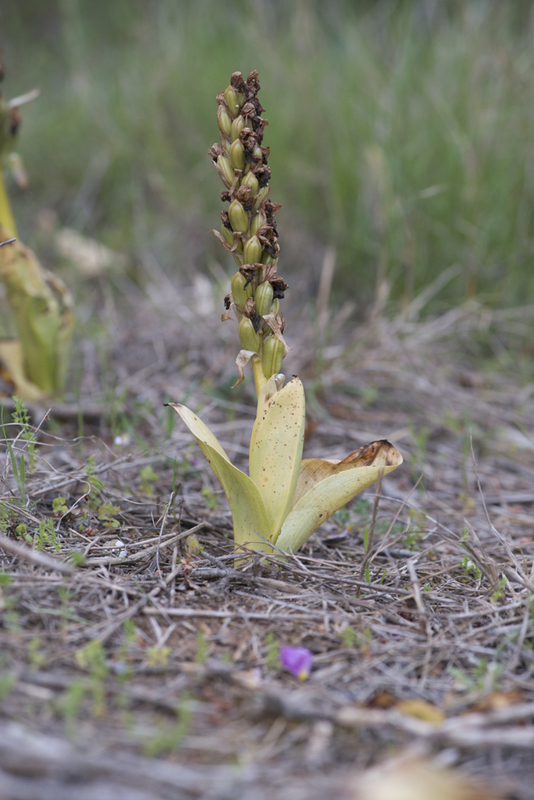 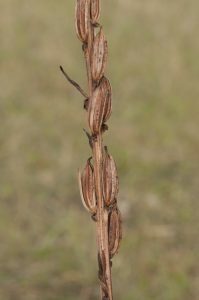 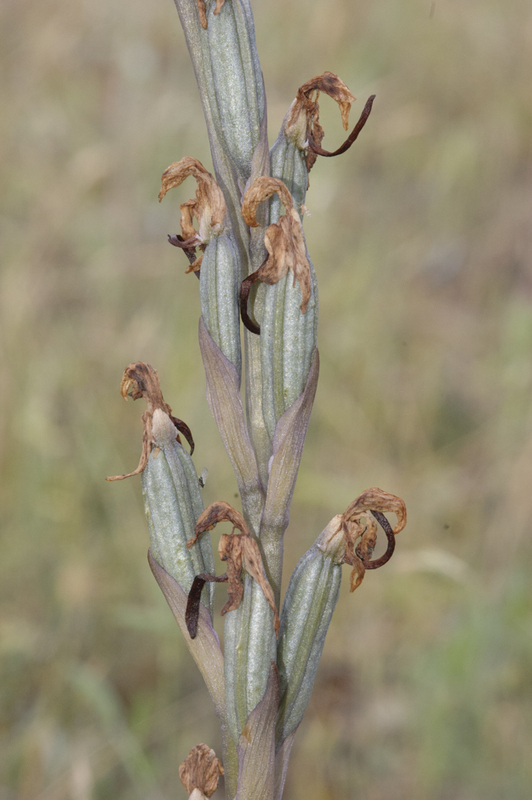 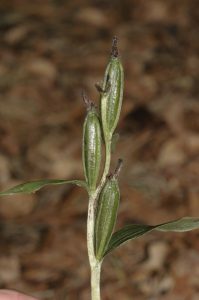 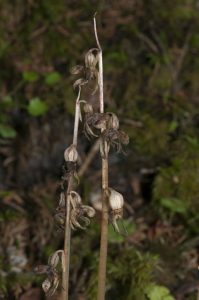 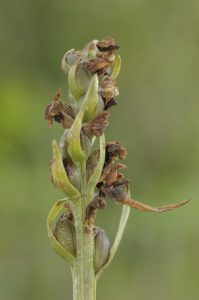 The images help identify the orchid species when they are fainted. 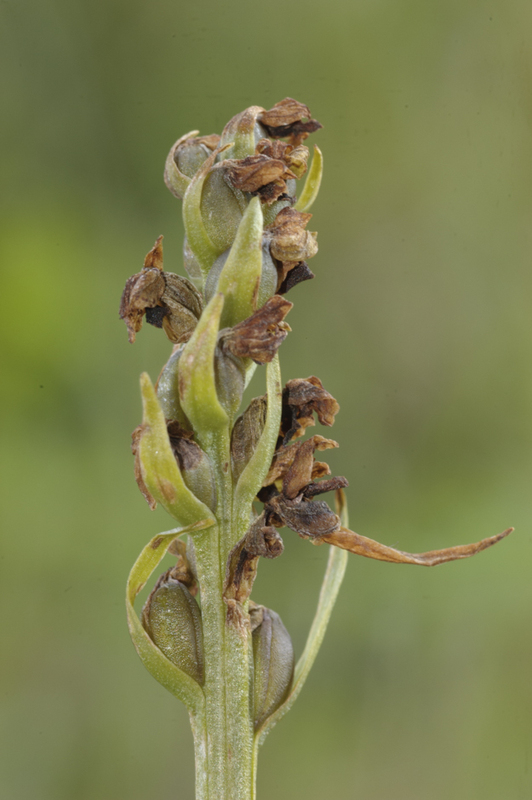 Our book presents images of fruit set of all European orchid genera. 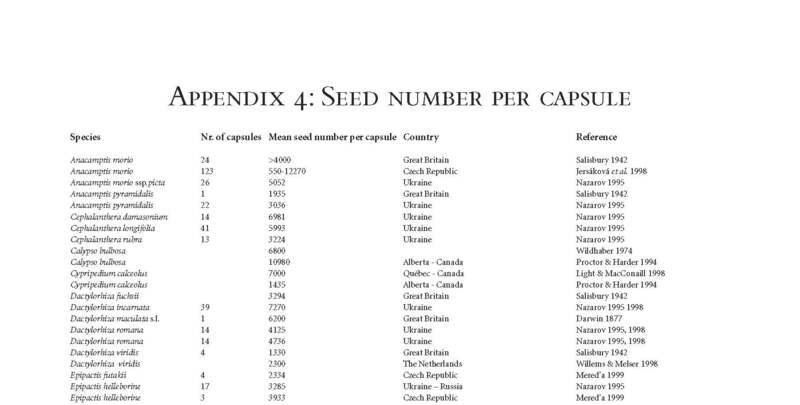 In Appendix 4 all known numbers of seeds per capsule are listed. 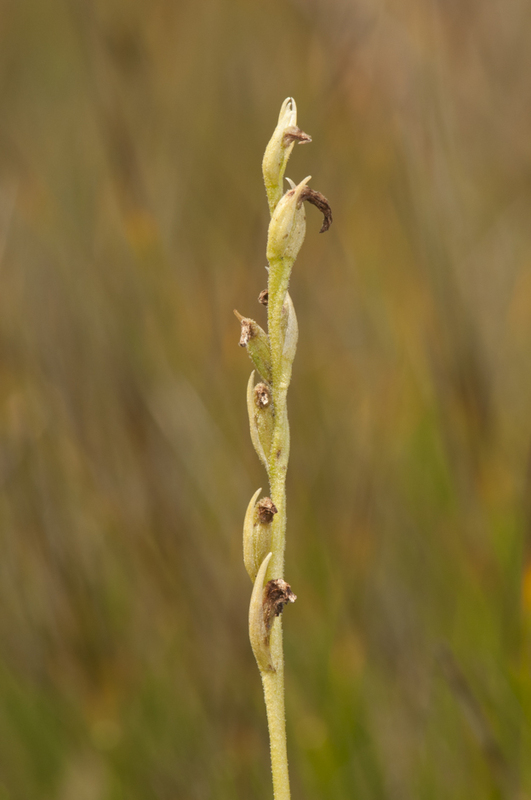 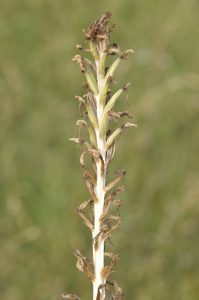 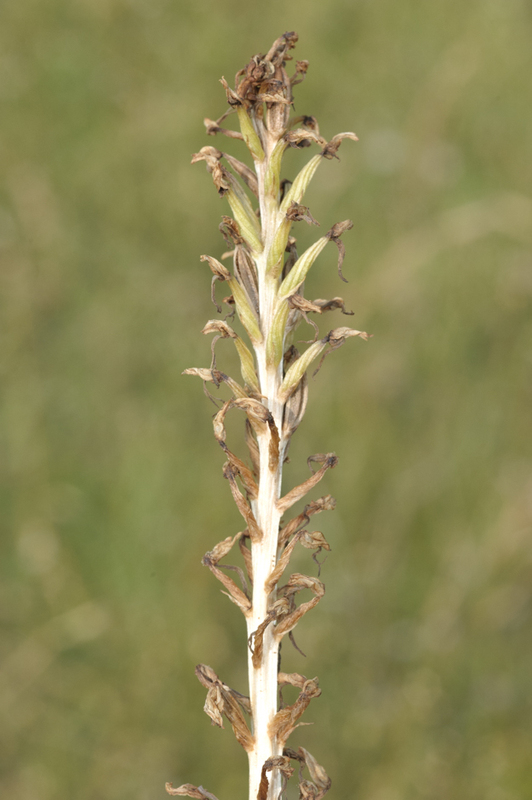 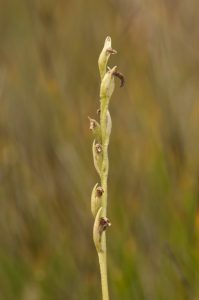 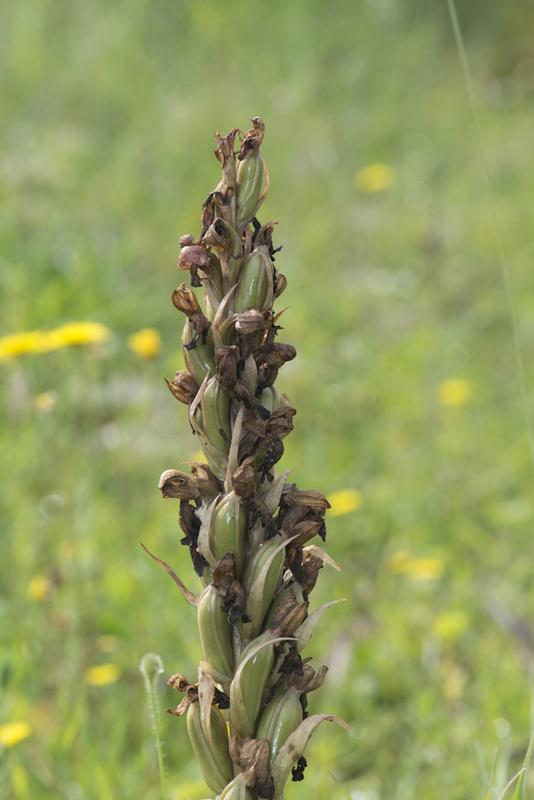 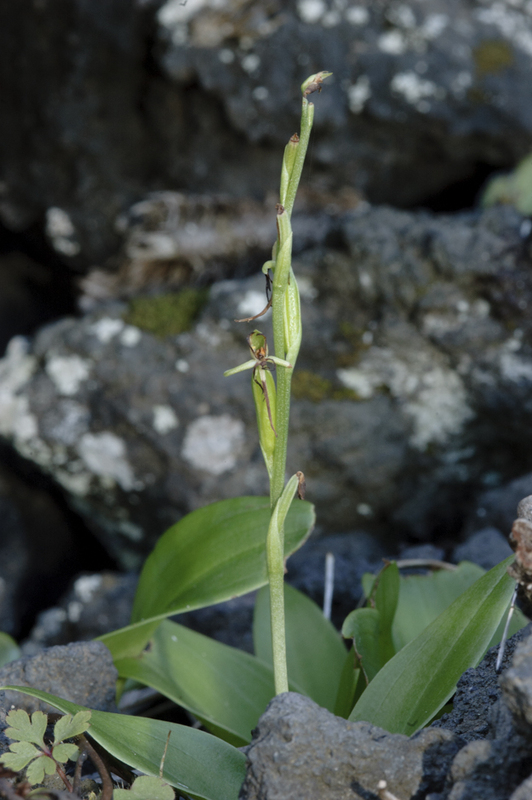 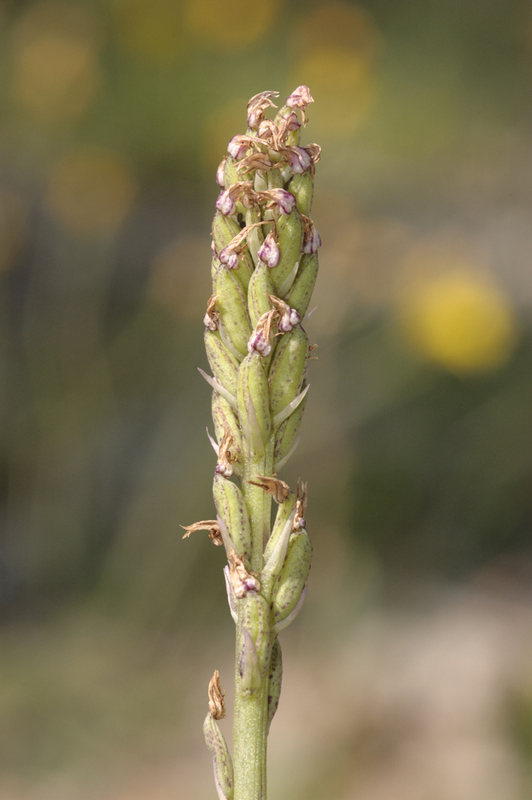 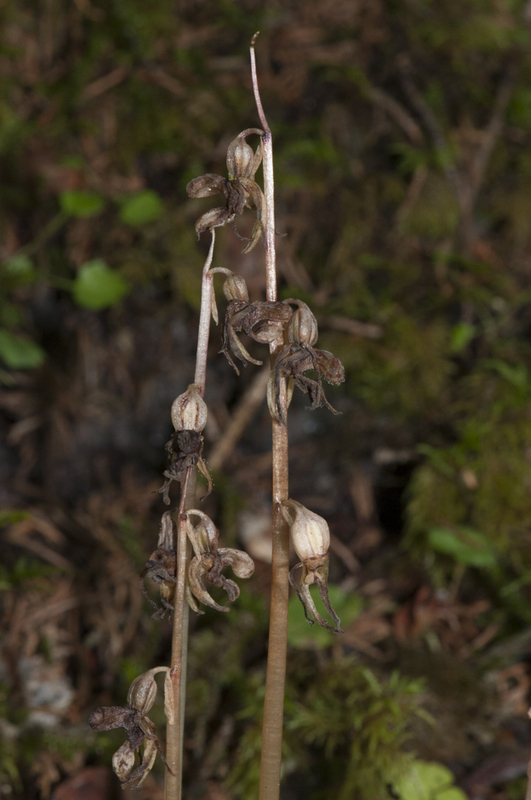 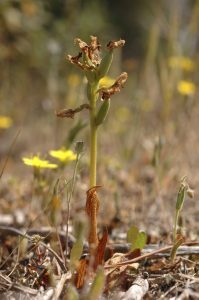 There is often a distinct difference between orchids that rely on insect pollination and orchids that self-fertilise (the process is called autogamy). 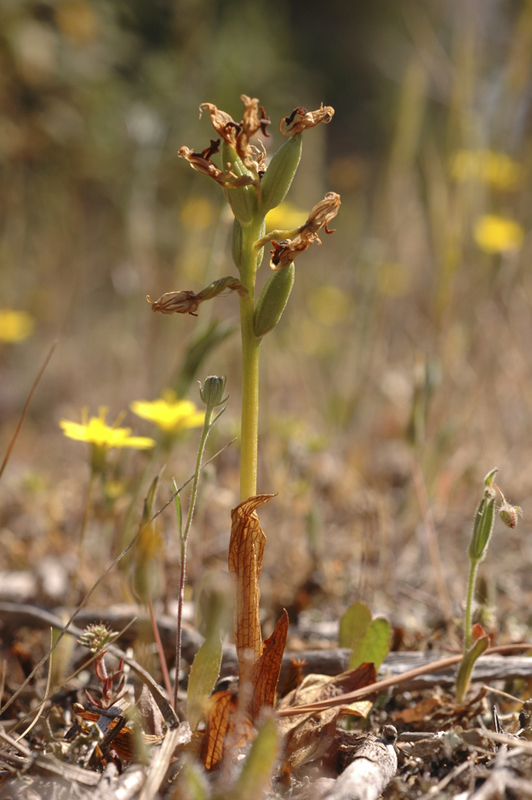 Appendix 3 lists all European orchid species that are reported to be (partly or totally) autogamous.